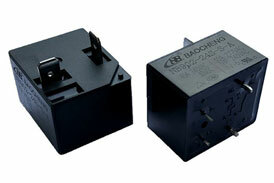 As a Relay Electronics Manufacturer, let's talk about two concepts about relays. Rated operating voltage, pull-in voltage, release voltage, contact resistance, dielectric withstand voltage, and insulation resistance are six commonly used parameters for relays. High Power Relays work when they are not connected to the rated voltage, so the pull-in voltage is the minimum voltage at which the relay can pick up. When designing the circuit, generally leave enough voltage, but not too much than the rated voltage, so that the relay can output stably, and it is also a kind of protection for the relay. High Power Relays are always released, so this release voltage is the maximum voltage at which the release action occurs, specifically the coil voltage at which the armature and contacts return to their original position. The pull-in voltage can be measured in this way. 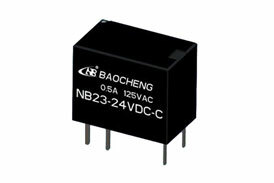 If it is a DC input relay, it can be directly used as a DC power supply. 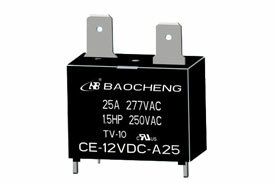 The voltage is input to one end of the High Power Relays, and the voltage is slowly increased. When the relay is just picked up, this voltage is the pull-in voltage. This withstand voltage is the withstand voltage that the relay can withstand. The test method is to test for 1 min and the leakage current is less than 1 mA. Previous: How To Choose A Relay To Avoid Malfunction? Next: What Are The Classifications Of Commonly Used Relays?